Visit the official HPCET website and click on the required course link. Fill in the application requirements duly. Upload passport size photo and digital signature. Fill the application fee detail and make the application fee payment online. Provide the required details in the application form. Paste the passport size photo and do the valid signature. Submit the duly filled application form along with fee either in cash or demand draft. 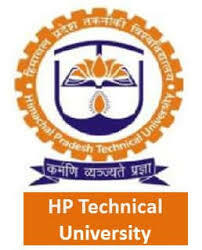 Himachal Pradesh Technical University will be conducting HPCET 2019, a state level exam on 12th May 2019. All the candidate who interested to participate in the HPCET 2019 exam has to register in the official website of HPTU i.e. himtu.ac.in from 8th March 2019 and the last date of registration is 28th April 2019. Go through this article to know detailed information of HPCET 2019 Application Form. Procedure: The candidates who wish to appear in the HPCET 2019 Examination, they have to fill up the application form of HPCET 2019 on the official website which will be available from 8th March 2019 to 28th April 2019. Mode: The aspiring HPCET 2019 candidates can only apply through online mode. Online Application: Candidates interested in applying for HPCET 2019 can apply online. Official site: Candidates have to click on “Application Form for HPCET-2019” link online on the official HPCET 2019 website i.e. http://www.himtu.ac.in/online-admission-form/ to begin the application process. Application Form Availability: Candidates need to visit the HPCET 2019 official website to fill the form within the specified time duration from 8th March 2019 to 28th April 2019. Application Form Details: Candidates needs to enter all the correct details in the application form and re-check it once before final submission. Candidates are advised to finish and recheck the Application Form details before final submission. Incomplete Application Form will be rejected. Non Refundable Fee: Once the Application Form submission and the Application Form fee payment are done by the candidate, it can neither be modified/corrected nor the fee will be refunded. Application Form Last Date: The last date for HPCET 2019 registration is 28th April 2019. The candidate will not be able to fill the application form after the last date of registration. Candidates are advised not to submit the application form more than once at the same time from the same computer. Official Website: The candidates have to open the official website of HPCET 2019 and click the link ―Application Form HPCET 2019. Registration: Now candidates have to registration button appearing on the log in detail page. An account registration form will appear. Credentials: Candidates have to enter the essential information against Name, User Name, Enter the Password, Confirm password, Date of Birth, email address and mobile number and Click on the Create Account button. Generating the unique form number: The system will generate a Unique Form Number which will be displayed in the pop-up menu on the screen and the credential created by the system against this form will also be delivered on the email address provided during the registration. Note: The candidates are advised to note down the Form number, User Name & Password for future reference. Signing in: Next step is to log in. The candidates have to fill the username, password and Application Form Number. Details in the form: Then, Online Application Form will appear. The Forms have been divided into five tabs such as Basic Detail, Upload Photo, and Signature, Confirmation, Fee Payment & Payment Detail. Submission: After successful submission of each webpage of Form, next page open automatically. Photograph: The candidates have to click on browse to select your latest scanned photograph and select the file size up to 50kb of .JPEG/.JPG format from the source. Signature: Upload the JPEG/.JPG format file by browsing the source and select your latest digital signatures of file size up to 30kb. Options: Now Confirmation button will appear. At the bottom of the Application Form, two options i.e. “Edit” and “Submit and Go For Payment” shall be there. Editable: In case the candidate intends to make the correction on the confirmation page, click on “Edit” button. The data filled by him/her will appear in editable form except for the fields, Programme applied for, Category and subcategory. Update: The candidate should make the necessary correction and click on the "Update Details" button to save the changes. Payment: Now click the "Submit and Go To Payment" button. It may be ensured before he/she clicks the "Final Submit" button that all the applicable fields have been filled correctly and no change will occur after its submission. The candidates will have to pay the required application fees. Payment can be done in online mode (net banking/ credit card/ debit card). The application form will not be accepted if the fees are not paid. What is the Application form details for the HPCET 2017? Online: The candidates paying the HPCET application fee through online mode can pay through Credit/debit or net banking. Offline: The candidates paying the HPCET application fees offline can draw a challan in the favour of the University from the bank. The Applicants can also pay the HPCET application fee in cash at the admission office of the campus of the university or by drawing Demand Draft in favour of Finance Officer, Himachal Pradesh Technical University.